Echo-Factory today announced that it has been named agency of record for Rockview Family Farms, a leading dairy products company operating facilities throughout Southern California and Nevada. 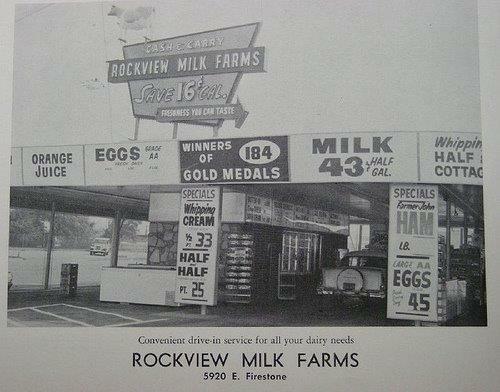 Rockview owns its farms and cows and represents one of the last family-run and independently operated fluid milk plants in Southern California. The company offers competitively priced products with the highest quality ingredients and is set apart by its unique relational approach to customer service. Our newest client, Rockview Family Farms, is a real part of California’s agricultural history. In line with the company’s family-oriented approach, Rockview Farms’ cows are raised on their farms with room to roam in the sunshine. They are fed a diet of alfalfa hay and grains, and distinctively, the cows have never been given artificial growth hormones. Rockview’s relational approach to customer service and very quick turnaround for local customers (48 hours between milking the cow and delivering the product) have made it a known go-to for customers who require individual attention and the flexibility of a responsive partner. Customers are also attracted to Rockview’s very competitively priced market basket of products, which includes everything from milk and butter to cottage cheese, yogurt and juice—the majority of which contain no artificial colors or flavors, corn syrup or preservatives.